Eminent yoga masters have all encouraged us to do yoga on an empty stomach. The word yoga is originated from a Sanskrit word yuj, which means to join together. Having food in the stomach can hinder with the rhythm of the body while performing yoga. Anything which is not a part of your body ought to be expelled as much as possible. The food in your body & the stool ought to be discharged to get benefitted out of your yoga exercise. During yoga exercise, your energy will be centered around the different yogic stances & the transformations. The functions of the digestive system get restricted to deal with the procedure of digestion. The food can likewise cause nausea gas or bloating while practicing yoga. However if the stomach is empty, at that point the vitality will be brought together towards the different yogic stances, hence increasing the result & the advantages from the yoga session. In case the food is there in the digestive system during yoga practice then the bends & curves & twists might cause complications in our gastrointestinal tract, particularly for individuals with stomach related issues. For people who are rehearsing yoga for reducing weight, if they eat before yoga then they might have the inverse undesirable impact. 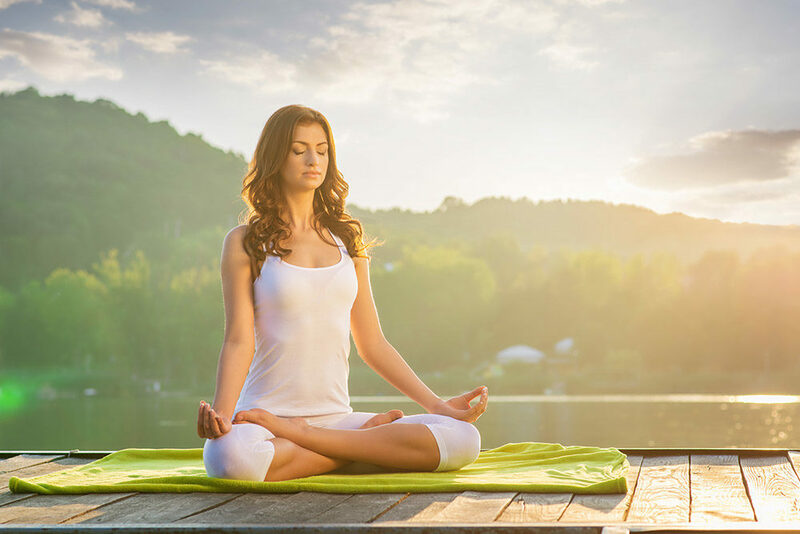 Doing yoga on an empty stomach will give the opportunity to proficiently control the vitality from the vitality stores of the body, for example – muscles, body fat & liver. Hence it helps the body to proficiently burn those additional calories. A light stomach additionally enables you to do the yoga poses more effectively. The perfect time to practice yoga is early in the morning on an empty stomach & it is preferred to clear the gut too. If you have the habit to drink bed tea, you can drink only half a cup. In spite of the fact that it is good to gradually abstain from drinking tea or other drinks before yoga. You should practice yoga 1 - 2 hours after a light meal, 3 - 4 hours after a heavy meal, 45 minutes after having fruits, tea or juice & 15 minutes after drinking water. Avoid having heavy foods, for example - meats, processed grains, fried foods etc. before yoga session. Avoid spicy foods before practicing yoga as it might cause extreme acid reflux.